On 12 March, Americans for Democracy & Human Rights in Bahrain’s Grassroots Advocacy Associate, Saman Naquvi, delivered an oral intervention at the 28th Session of the United Nations Human Rights Council in Geneva during a Clustered Interactive Dialogue with the Special Representative of the Secretary-General on Violence against Children. Please continue reading for full remarks or click here to download a PDF. 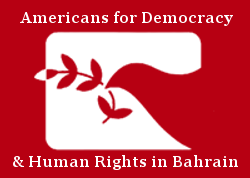 Americans for Democracy & Human Rights in Bahrain (ADHRB), the Bahrain Institute for Rights and Democracy (BIRD), and the Bahrain Center for Human Rights (BCHR), would like to call the Council’s attention to the recent acts of violence involving children in Bahrain, allegedly carried out by individuals affiliated with the government. The government continues to violate the Convention on the Rights of the Child by illegally detaining and torturing children in the country. Since the February 2011 peaceful protests, the Government of Bahrain has engaged in systemic persecution of children and minors in an effort to silence dissent. Government security forces have jailed and abused children as young as ten years old, and have incarcerated dozens of minors in Jaw prison on politically-motivated charges. According to the Joint Communications Report of the Special Procedures, two children identified as “X” and “Y” faced beatings, psychological stress, and food and water deprivation. These cases act as prototypical examples of the types of violence that the Government of Bahrain is willing to employ against children in the country. As an acceding country of the Convention on the Rights of the Child, it is Bahrain’s responsibility to adhere to the Convention’s guidelines. Article 37 of the Convention mandates that all countries party to the Convention must guarantee against the arbitrary deprivation of liberty and torture of any person under the age of eighteen. We kindly ask that the Special Representative of the Secretary-General on Violence against Children use her position to comment on Bahrain’s implementation of the Convention on the Rights of the Child and more generally on violence against children in Bahrain, and to request that Bahrain improve and maintain credible laws that protect children.